In their recently released election manifesto, the UK Independence Party (UKIP) has come out against burqas with a creative argument: the full-body coverage they provide can cause Vitamin D deficiency because the outfits prevent "intake of essential vitamin D from sunlight." The right-wing UKIP, which spearheaded the UK's exit from the European Union, released a manifesto outlining their stances on various issues in the face of the upcoming UK parliamentary elections on June 8. The manifesto focused on issues relating to the UK's Muslim minority, which makes up about 5 percent of the population. Their platform included a law against the practice of sharia law, a temporary moratorium on new Islamic schools, annual checks to ensure female genital mutilation was not taking place, and of course, a burqa ban. "Clothing that hides identity, puts up barriers to communication, limits employment opportunities, hides evidence of domestic abuse, and prevents intake of essential vitamin D from sunlight, is not liberating," read the manifesto. "There is no human right to conceal your identity," the report continued. "If anything prevents liberty, it is the niqab, by preventing women from being perceived as individuals in their own right. We want to open opportunities to all women, so that they can participate fully in life and in the workplace." Perhaps the most surprising part of UKIP's manifesto is that it might actually be true. Well, essentially. Semantically speaking, vitamin D is not taken in from sunlight, but rather the sunlight is used as a fuel source for the body's production of vitamin D.
A paper published in the Saudi Medical Journal found an unusually high rate of vitamin D deficiency among Saudi schoolgirls aged 12-15. "There was a positive correlation between low calcium in the diet and less sun exposure to low levels of vitamin D," read the paper, written by sociologist Aishi Siddiqui and pediatrician Hayat Kamfar. Under British law, organizations and governments can outlaw burqas and niqabs (face veils), but they aren't required to. An August 2016 poll found that 57 percent of Brits favored banning the burqa in public spaces, and 25 percent opposed it. In February, Conservative Prime Minister Theresa May came out in opposition to any burqa ban. "I believe that what a woman wears is a woman's choice, she said. The 2017 local elections, which took place on May 4 and saw the elections of local officials throughout the UK, were utterly disastrous for UKIP. They went from controlling 145 local seats to controlling exactly one. 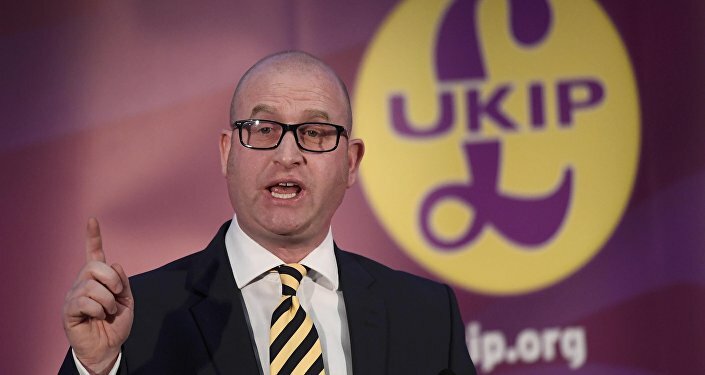 UKIP leader Paul Nuttall denied that the party would disband, and insisted that they would regain the seats they lost during the general election. A bottle of Vitamin D supplements can be bought for as little as five dollars at the drugstore.